Tourism Minister Konrad Mizzi this week filed a Constitutional Case against the Attorney General claiming fresh calls for an inquiry into his Panama Papers dealings breached his human rights. An earlier request for such an inquiry was successfully blocked in January on appeal by Dr Mizzi, Prime Minister Joseph Muscat and his top aide Keith Schembri, among others. Former Opposition leader Simon Busuttil and civil society group Repubblika took to the courts to again demand an inquiry in March due to the “institutional paralysis” over the Panama Papers scandal. Dr Mizzi in his court application argued that no decision should be taken about whether such an inquiry is warranted until his human rights case is heard. The Tourism Minister said the fresh request for an inquiry breached his right to a fair hearing as the law allowing such requests by citizens was being abused. In comments to the Times of Malta, Repubblika said it was outrageous that a government minister used the institutions of the State to run away from the law. “Human rights laws exist to protect citizens from their government. 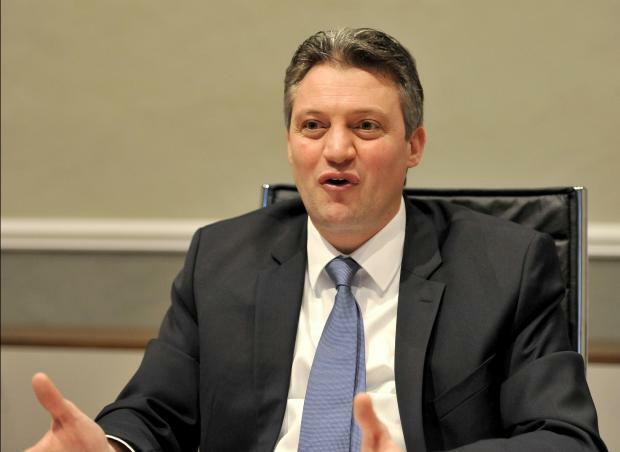 Konrad Mizzi thinks they exist to protect the government from citizens”, Repubblika said. The April 2016 Panama Papers leaked exposed how Dr Mizzi and Mr Schembri secretly conspired to receive $2 million in payments through offshore structures. Repubblika said if Dr Mizzi was not guilty of “corruption and bribery” he would look forward to an investigation that would clear his name. Instead, he was suing the government he is part of to stop it from investigating his crimes, the NGO continued. The NGO expressed its frustration that six weeks after filing the request for an inquiry, the court had not yet decided the“simple question” of whether an inquiry should commence. It said these legal somersaults do not absolve the police from their duty to investigate crimes, and every day that goes by while they neglect their duties, is another day where the State collaborates with and participates in a criminal conspiracy. “Clearly justice in this country cannot reach the untouchable Konrad Mizzi and the criminal gang he fronts for. That doesn’t mean Repubblika is going to give up trying to change that. “Konrad Mizzi might think that’s harassment. He ain’t seen nothin’ yet”, Repubblika declared. A report published this month by the Group of States against Corruption (Greco) said it was clear Malta needed to increase its capacity to deal with allegations of corruption and other offences involving government officials. The lack of action against top officials facing corruption allegations conveyed a feeling in the public that senior officials benefit from a total impunity for their actions, Greco said. Greco warned Malta’s criminal justice system is at risk of paralysis unless a redistribution of responsibilities between the police, the Attorney General’s office and inquiring magistrates took place. The government has pledged to carry out reforms based on recommendations by the Venice Commission. The prosecution function is set to be hived off from the Attorney General’s role, though the new prosecutor will be handpicked by the government. Prime Minister Joseph Muscat played down the Greco report in Parliament this week, saying the information contained in it was based on media reports and much of the recent international attention on Malta was brought about by the Opposition. Dr Muscat has told the media he sees no reason to stall further judicial appointments until reforms giving less government influence over the process are pushed through.